February may be short in nature, but that hasn’t stopped Stan from packing in a huge list of new titles to binge on. Let’s jump in and have a look. 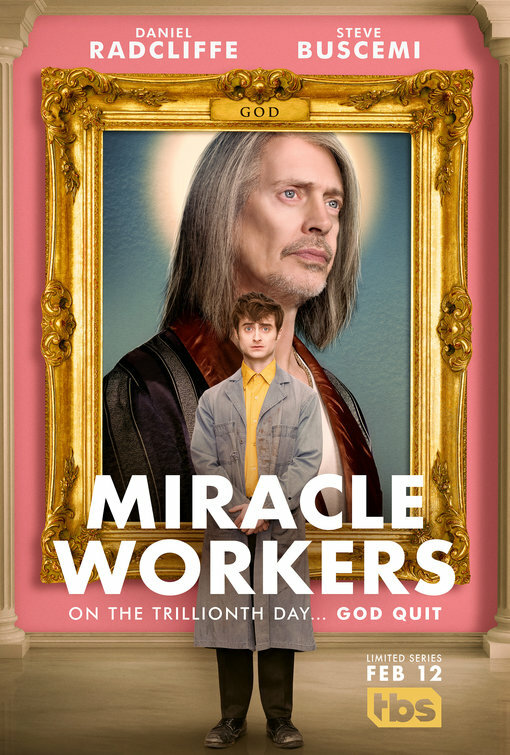 Exclusive to Stan, we have ‘Miracle Workers’, a kooky look at behind-the-scenes in Heaven, where God and his employees make all the things happen. Starring Daniel Radcliffe (Harry Potter fame) as an overworked Angel in ‘Answered Prayers’ department, and Steve Buscemi as the Big Guy. Arriving Feb 13. Surfing on the wave of 80’s nostalgia and looking back to the good old days, ‘PEN15’ is a comedy flashback to high school, only the main characters play themselves, surrounded by 13-year olds. Bad haircuts, braces, whiteout pens, it’s all coming back to me. 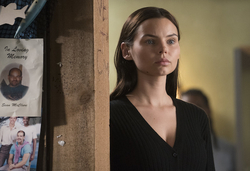 And for something for current, more of Circus S4, which continued to document and comment on movements and developments in the White House, USA. Stan also has exclusive content with ‘Switched at Birth’, a story of two girls who discover the twist of fate as teenagers, ‘Siren’, a coastal town named Bristol Cove surrounded by mysterious legends of mermaids. A huge amount of TV coming your way, with medical comedy ‘Scrubs’, ‘Lost’, ‘Golden Girls’ (get your cheesecake ready!) and ‘Revenge’ arriving this month. I missed ‘Lost’ the first time around so that'll keep me going! Keep an eye out for ‘The Fosters’ (Produced by Jennifer Lopez) is set with a family with two mums, who add to their family when they bring in more foster children. Continuing series such as ‘I am the Night’, ‘Black Monday’, ‘SMILF S2’, ‘Will and Grace’ S2, and "RuPaul's Drag Race All Stars: S4,” with episodes released weekly. There are several distinct mixes of movie selections on offer, maybe to balance out the summer blues? Amongst them, some good old horrors standbys, ‘Poltergeist’, ‘Sixth Sense’, ‘The Texas Chainsaw Massacre 2’, ‘Gravedancers’, ‘Signs’, ‘The Killing’, Death Wish I, III, IV, and V. I haven’t watched all these, but maybe you have a favourite here? The next list of movies are from the ’90s, and you can tell because the hair is still big and rad, the men have pants that don’t quite fit, and the trailers have weird voiceovers. Anyhow, I did see some of these when they were released so they took me right back. Hang out with ‘Cadillac man’, ‘Face/Off’, ‘Enemy of the State’, ‘The Rock’, ‘Con Air’, ‘Michele and Romy’s High School Reunion’, ‘Crimson Tide’ and ‘Men at Work’, and also ‘Pretty Woman’ which is released on Valentine’s Day. There’s one Marvel addition - Ant-Man. Paul Rudd suits up, shrinks to the size of an insect and takes on the baddies from a different perspective. The trailer is great, and as a stand-alone movie, works great, even for family viewing. In a fantastic surprise, we have a mini selection of Gary Oldman movies. I haven’t seen him since he was Inspector Gordon so I’ll be looking forward to these. Set aside time for ‘Chattahoochee’, ‘Romeo Is Bleeding’ and ‘Criminal Law’. Last but not least, I can see a few great kids/family movies – Red Dog, True Blue (local production), Karate Kid (original and 2010 version), Power Rangers, and Prancer. See you next month, folks! Here's a list of everything that's coming to Stan in February. Content highlighted above shown in bold below. Krystle Shrimpton (Facebook, LinkedIn) is a contributor for Streambly.